Studies show that many teachers are spending their own money on needy children, pencils and books at cash-strapped schools – but should they have to? In Britain, a recent education union survey shows that more than half of school support staff report having to bring toilet paper, plasters, wipes and first aid necessities for their poorly funded schools. According to a study by the Association of School and College Leaders (ASCL), 24% of school leaders say they expect the need for voluntary contributions from parents in order to keep funding mainstream activities. 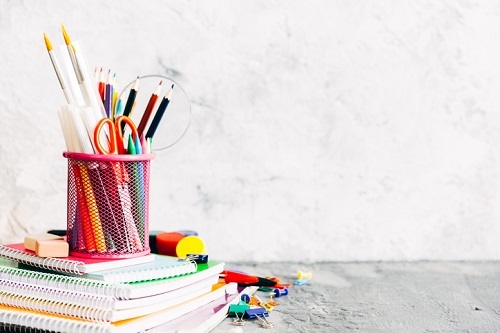 Educators forking out for students’ school supplies is also common in Australia, where a survey last year revealed that 92% of teachers spend their own money – in some cases more than $1,000 per year – on essential classroom materials such as exercise books, pens and scissors. Miranda Public School principal, Glen Carter, told The Educator that when he posed the question to staff at his school, the response was almost unanimous. Carter likened the situation to “ambulance officers or nurses paying for medical supplies”, or “librarians having to personally supply their library’s own books”. In the United States, the reason that many educators fork out for basic school supplies is that their schools are underfunded by the districts that employ them. In a survey by Scholastic, an educational publishing and media company, principals were found to have spent an average of $683 of their own money, while teachers spent $530 – and teachers in high-poverty schools spent nearly 40% more than that. Rachel Fielhauer, a fifth-grade teacher in Ohio, told NPR she spends as much as $1,000 a year on her students. The US Government gives educators a $250 tax deduction for their trouble, but Fielhauer said this is often not enough. “The tax write-off is nice to acknowledge what educators spend, but I will keep spending as it is what my students need,” Fielhauer said.